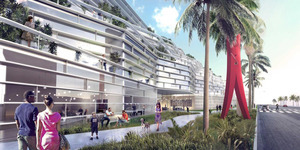 The battle of the superstar architects in Miami Beach is shaping up as something of a draw. Both architects--as well as good design--are losing to the bureaucrats, who are moving to put their own boring stamp on the project. 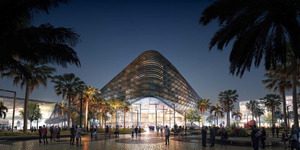 For months separate developer/design teams led by internationally acclaimed architects Rem Koolhaas and Bjarke Ingels have been creating competing visions for the redevelopment of the Miami Beach Convention Center and the surrounding 52-acres in the heart of Miami Beach. The competition for the $1.1 billion project was scheduled to reach a climax later this month, when the city was expected to choose one of the two designs to pursue. Instead, City Manager Jimmy Morales this week announced the city might ditch the entire process. 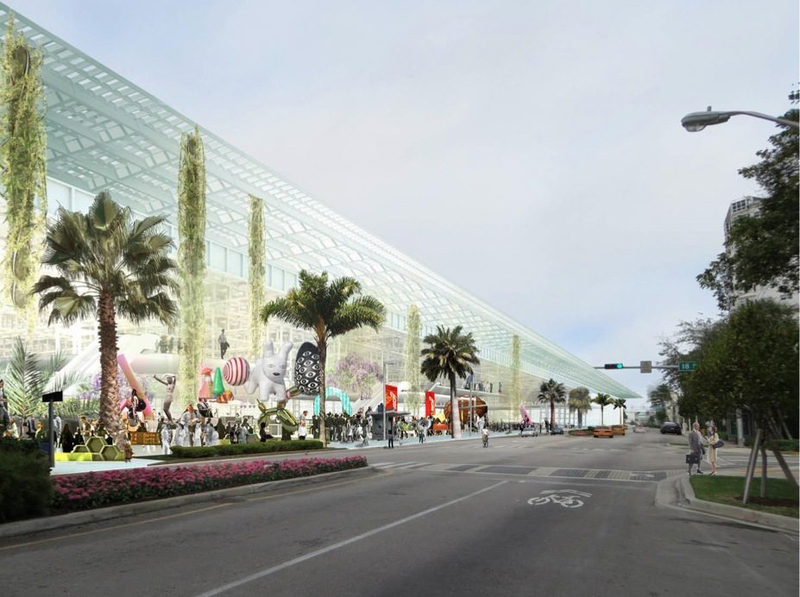 Mr. Morales proposed a radical downsizing, removing residential units from the plan and decreasing the retail space, in favor of a stripped-down convention center and hotel project. 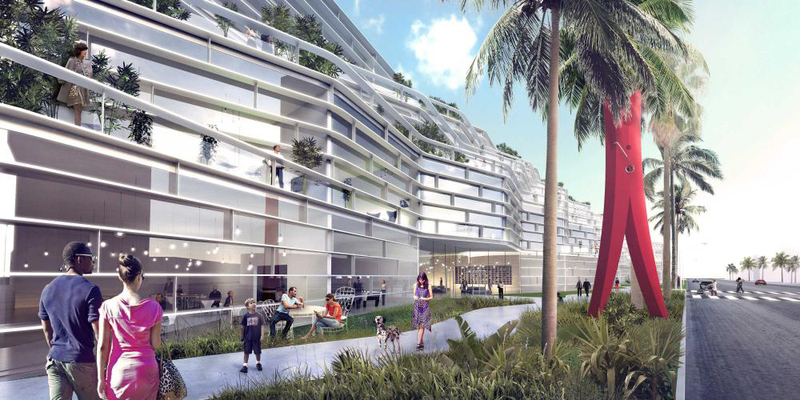 In other words, Miami Beach invited top developers and designers to town and now they're going to show them a little small town urban planning, Florida style. They appreciate all that smart talk and fancy drawings, but they've decided, gosh darn, that's not what they want, after all. 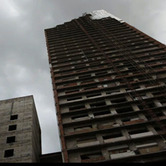 The developers and design teams were given a deadline to decide if they want to continue. Why would they? Good urban planning requires bold ideas, clear directions and experienced hands. Miami Beach is illustrating none of the above by radically shifting the ground rules after months of planning and debate. Even before this latest twist, there were rumblings that the city was uncomfortable with the bold plans presented by the out-of-towners. In the Miami Herald, architecture writer Beth Dunlop argued that the city should take more control of the planning process. "Taking out the ambition won't make it a better project, only a smaller project." "To ask private developers to create a plan that will transform a truly critical swathe of the city, of public land, is in many ways an abrogation of governmental responsibility and one of the better examples of cart-before-the-horse urban planning in our recent history," she wrote. In many ways, that is, of course, completely wrong. Letting the various amateur city committees and community special interest groups dictate the specifics of a project is almost the definition of design by committee, guaranteeing the creation of bland swatches that interest few and offend no one. City officials are not visionaries. Some can barely spell, as far as the public can tell. Nor do they have a particularly good track record on representing the public's interest. They are politicians and bureaucrats. Good urban design requires the politicians and bureaucrats to set the parameters and then get out of the way. If the end of the process is a public vote, so be it. Let the public decide. But the city's role is to allow the experts to create a vision, within the established guidelines. In cities around the world, great urban settings were created by strong civic leaders who understood this process. They cut through the bureaucracies and embraced the ideas of architects and designers. 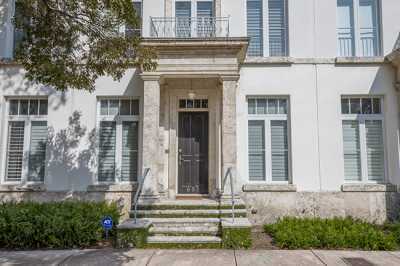 Public input was frontloaded into the process, insuring that the developers and architects understood the community's interests. The bureaucrats' role was to move the creative process away from the blizzard of special interests and braying NIMBYs. Designers should be allowed to design. That's what they do. Let the artists create spaces and buildings that excite and transform cities. Give them clear goals and guidelines and then let them use their talent. That's not how Miami Beach is doing it. They are offering muddled messages, unclear direction and repeated warnings that they don't really know what they want for the site. 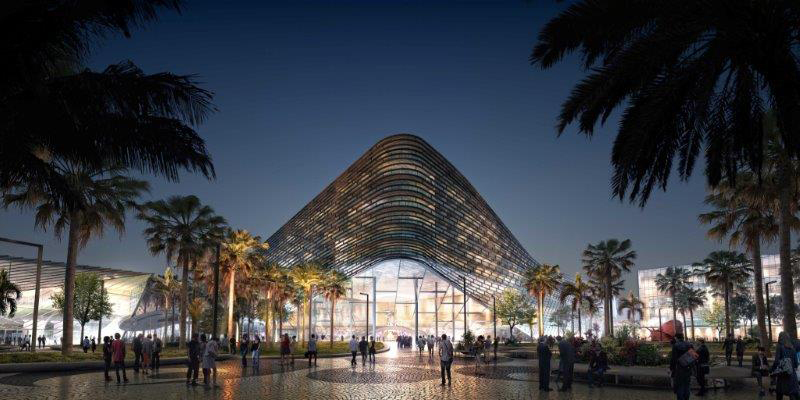 If city leaders didn't like the plans proposed by Koolhaas and Ingels, no problem. Clearly city leaders are balking at giving away too much to private developers in a public project. That's understandable--a little late in the game, but understandable. But now they've changed the basic concepts and any new design will be hamstrung by the simplistic guidelines and the mistakes of the past. They are removing the opportunity for creativity and vision. Taking out the ambition won't make it a better project, only a smaller project. 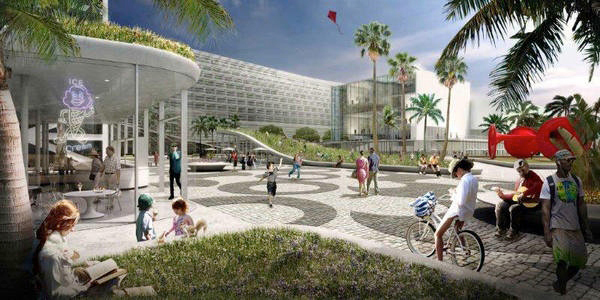 Miami Beach is providing a textbook example of how not to create a great urban space. They are moving away from innovation and big picture thinking and stumbling toward a project that will simply be a "redesign of a convention center," a marginal improvement for the city and nothing more. That's what happens when you let the bureaucrats lead urban design efforts. Note: WPC Editor Kevin Brass lives in Miami Beach. The deadly storm raging through southern Asia is a stark reminder of nature's ability to dramatically change the landscape. 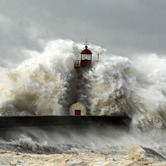 Typhoons with 190 mph winds can alter geography and turn a waterfront home into driftwood with remarkable ease. 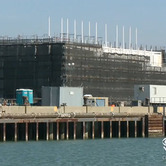 The appearance of two mysterious barges on opposite coasts has sparked a flurry of rumors and speculation, primarily centered on their possible connection to Google. According to one widely-reported account, the barges are the first examples of floating data centers. As fans of the series "Homeland" already know, the tense CIA thriller took a surreal turn this week, when Marine/Terrorist/Ex-Congressman Nicholas Brody suddenly appears in a bleak, urban landscape in the middle of Caracas, Venezuela. 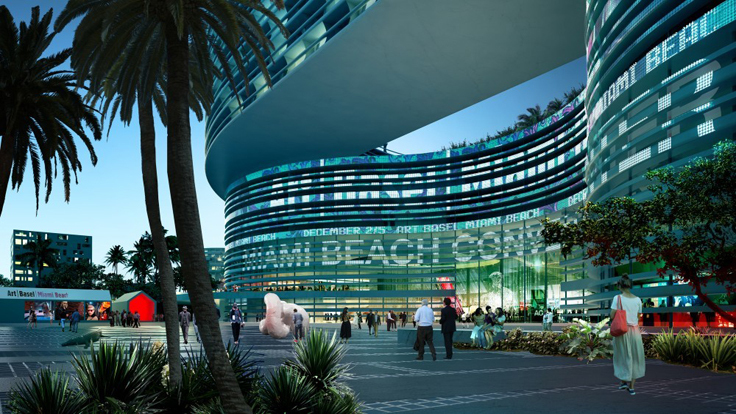 Is Miami Boom Fueled by 'Dirty Money'? In the TV series "Breaking Bad," the nefarious chemistry-teacher-turned-crystal-meth-kingpin Walter White buys a car wash to launder his money. 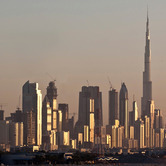 Like a drunken sailor who can't stop telling tall tales, Dubai is once again making grand announcements about mega-projects that will astound the world. Close your eyes and it's like 2006 all over again. 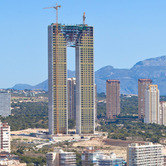 When a Spanish paper reported that the designers of Europe's tallest residential tower left out elevators, the story quickly spread across global news organizations. From CBS to Yahoo, it was the perfect outrageous tale.